Moving into college is a huge step for most teens that are leaving home for the first time. It is hard for any parent to watch their kid leave home but it is even more difficult to make a “home away from home.” Not sure how to make the perfect home away from home? Check out some of our tips on how to make a drab dorm room a cozy space your child can call their own. Unfortunately you cannot choose the size of your child’s first dorm room. Most freshman year dorms are quite small and almost always are shared by one roommate. Because of this, space and storage becomes the most essential element of making any dorm feel like home. My freshman year, my roommate and I made the mistake of not having enough storage from the beginning so we were constantly trying to corral our collective clutter. Try to find a way to create storage where there is none. 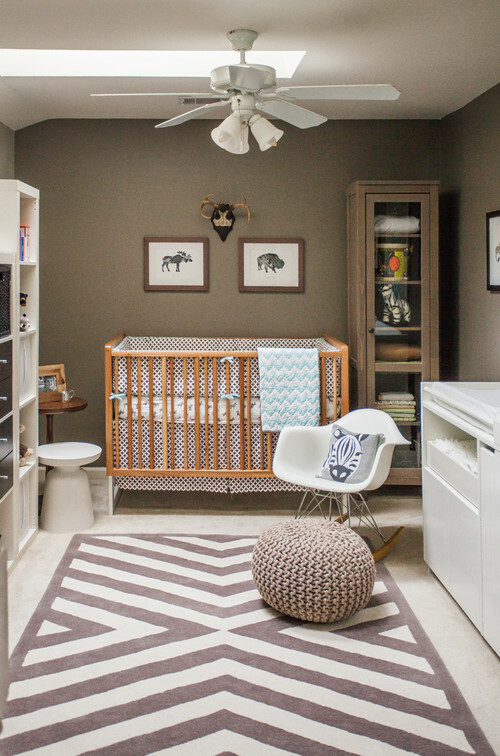 Storage bins should become your child’s new best friend. Try to find bins that can fit underneath the bed and in the closet. No room under the bed? Consider lofting it! Most college dorm beds can be adjusted to any height. If your student is ok with a bit of climb, lofting is a great way to add some extra floor space. If you are looking for any additional furniture pieces try to search for multifunctional pieces. Storage ottomans are excellent for this because they provide additional seating if your student has multiple people in their room. Storage trunks with a flat top can easily double as a table. Use a filing cabinet as their side table to hold important papers and supplies. If there is no more space on their floor, try going vertical. Setup removable wall hooks to hang bulky clothes and scarves so they don’t take up valuable closet space. Also, look for an over the door or hanging shoe rack to free up more floor space for any extra storage they might need. Try stacking their bookcase on top of their dresser or desk, store the stuff your student uses the least at the top and free up even more space on their floor! Every incoming student should try to find a way to merge styles with their roommate. This does not mean that your student and their roommate need to match exactly. Instead with such a small space try to find a style that they can both be comfortable with. Similar color palettes, complementary accent colors, even similar patterned bedding can be a great way to merge styles without having to sacrifice your student’s own personal style. Have your child plan out with their roommate before they arrive to be sure they aren’t purchasing items that will clash. My college roommate really didn’t have a preference for colors so it was easy to find something we both loved that worked well together. If your student is having trouble finding a style that will merge with their roommate don’t worry about it. Have your student get something they love, not something that is a compromise. When your child is away from home for long periods of time they will want a dorm room that is comforting to come back to. Buy fabrics that are comfortable and have patterns and colors that soothe them or remind them of their bed at home. Keep in mind that mattresses aren’t replaced too often at colleges, so it might be good to invest in a mattress topper or mattress pad. Customize their bed as much as possible with throw blankets and pillows. Try to personalize stark dorm room walls with wall decals or artwork. Wall decals are great because they add style to your student’s space, are customizable, and don’t damage dorm walls. Most dorm rooms are outfitted with cold linoleum or old carpet. To add some warmth to these cold floors purchase a vibrant area rug. Consider adding a rug pad as well, it makes the rug extra comfortable for your feet and for hanging out on! Ultra-Premium is great to prevent slipping on linoleum floors, so your student won’t have to worry about readjusting their rug every time a friend comes to visit. Trying to cover up gross dorm room carpeting with a new area rug? Try using our No-Muv pad to prevent that rug from moving all year round! Don’t forget to add pieces from your home to make your child feel even more comfortable. Bring a throw blanket from their room at home or even add a photo collage of your family and their friends and place it near their desk or bed so they always feel close to them. Simple changes to your student’s dorm room can make a cold dorm room feel warm and inviting. Try some of our changes when when you move your student in this year! Even though the Summer is winding down, you can still make the most of it by updating your porch to embrace Summer living. Small updates to your porch or deck can make your home feel more inviting and relaxed. Try a couple of these simple updates to create an oasis that you and your family can enjoy even into the start of the school year. The summertime is the perfect time to enjoy outdoor eating so try to set up an outdoor dining space for you, your family, and any guests you may have. Fit the largest table you possibly can while still leaving room to move around. Consider getting a table with a removable leaf so you can adjust the size based on how many diners you have. Providing ample room at the table creates a leisurely setting that everyone can enjoy. Removable outdoor cushions, lanterns or string lights can create a comfortable setting. The summer is known for heat and bugs. If you live in a particularly warm place consider ways to cool down your porch. Try adding outdoor drapes that can block the mid-afternoon sun. If that is not enough, consider adding an outdoor ceiling or standalone fan. A fan is a great way to beat the heat and discourage mosquitoes. If you live in a particularly buggy area consider adding screens to your porch to keep the bugs away. Birds are also great for catching bugs, so consider adding a bird feeder near your porch to help fight off the bugs. Try out various citronella candles or mosquito traps to naturally repel mosquitoes. Nothing really says summer quite like the beach. If you are like me, the beach is a bit of drive away but you can try bringing the beach to you. Look for natural wood outdoor furniture. Unfinished teak is a classic outdoor furniture option because of its’ durability and beautiful natural color. 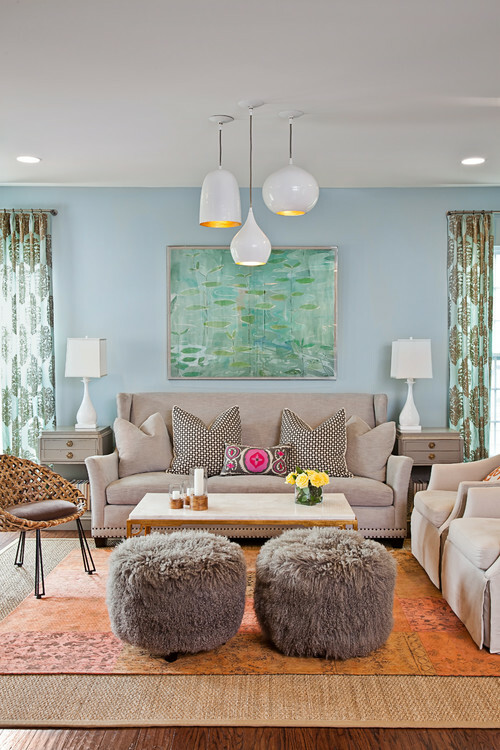 Incorporate other beach tones like sandy beige and blue in your accent pieces to really get the complete look. Take advantage of a free weekend by doing some weekend projects. Fashion an old stump into a side table, update your porch floor, or even make some outdoor pillows using vintage fabric or cheap burlap. Have old deck chairs that have seen better days? Simply sand them down and repaint them! A fresh coat of paint can give new life to your old deck chairs. Any one of these projects are easy to do and will not take up your whole weekend so try one out today! Porch swings just invite relaxation. If you have an empty corner on your porch that has no use, try adding a relaxing porch swing. It is a beautiful addition to any porch and can be a great spot to just sit and relax. Contact a professional to ensure that you follow proper safety regulations. You don’t want to cause any unnecessary accidents. If your porch cannot support a swing, try creating a cozy reading area to relax in. Find a comfortable rocking chair or two and a side table to fill the space. Just because your porch can’t support a swing doesn’t mean you can’t chill out! Fresh cut flowers are a great way to bring natural color to your porch. Consider adding a potted hydrangea or two for a fresh pop of summer color. Hydrangeas are beautiful summer flowers that can bloom for multiple months and are even beautiful when they dry. Also pick up fresh seasonal flowers at the local market. Right now sunflowers and gladiolas are quite inexpensive and will brighten your home. Nothing like fresh cut flowers to brighten your day. These simple updates to your porch can make a world of difference. Try any one of these this week to get the most out of your summer porch while you still can! Also take advantage of all the fabulous sales that are going on right now on seasonal products. You will be glad you did!